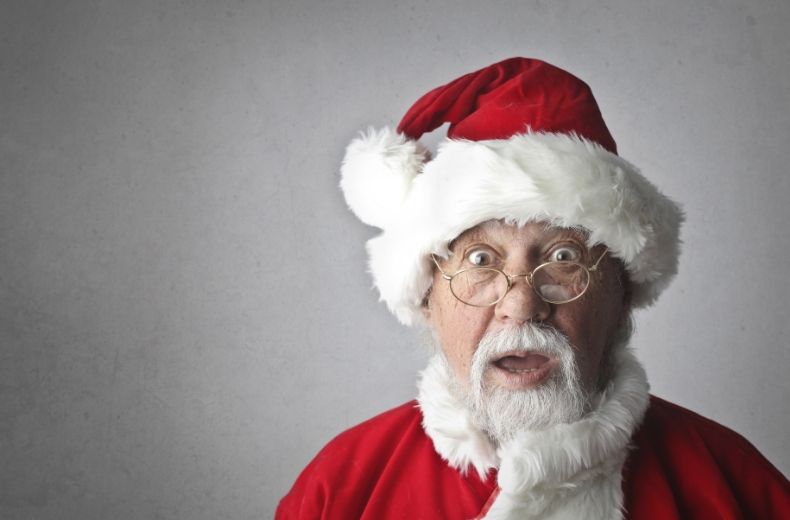 Christmas is a time for fun, love and laughter - but for homeowners, the festive season also brings a higher element of risk. Our homes are full of expensive presents and food, invariably busy as friends and family visit, and excitement abounds. It’s a recipe for wonderful chaos, but the change in routine and busy nature of the holiday season understandably exposes the home to potential problems too. 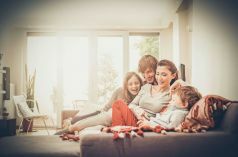 After all, families probably spend more time in their home during the Christmas period, increasing the risk of accidents. In terms of home insurance, December is a busy month for claims because of theft, but also because of accidental damage or leaks. This guide takes a look at some of the common causes for home insurance claims over the Christmas period. Quality insurance from a brand you can trust. That’s why 9 out of 10 customers would recommend us to their family & friends**. 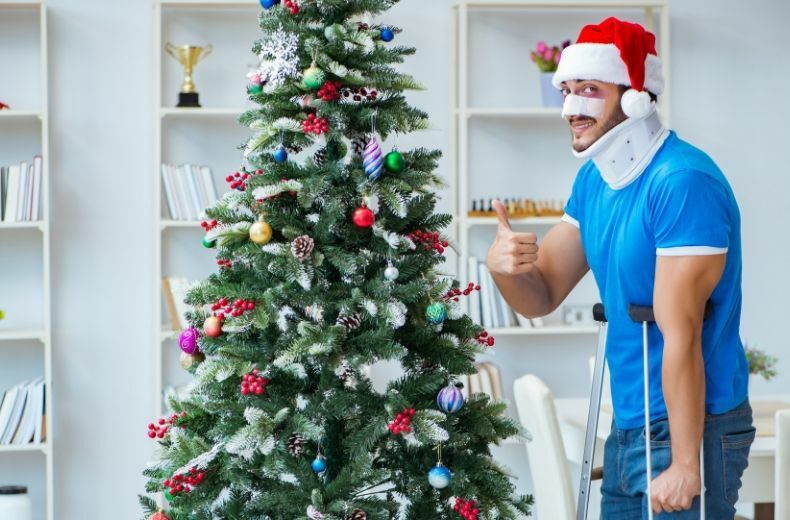 Are christmas present covered on home insurance? Good question - and the answer depends on your home insurance provider and the policy you have. Any presents you buy for Christmas will fall under contents insurance, but because you will have stipulated a total amount of cover when you took out the policy, new items might not be covered within that. Some policies may offer increased contents cover over the festive period, to help cover gifts and other festive items, so it’s worth you checking your policy wording. If you’ve bought an item that’s expensive or high value that may not be covered by your insurance policy, you could consider specialist insurance to cover it, just to be on the safe side. Why does the risk increase so much? The risk increases at Christmas because there’s much more activity in the home than usual. If you have a Christmas party, or are hosting Christmas dinner for the whole family, that’s a lot of extra people in your home, which could lead to all sorts of consequences. At Christmas, your home becauses more of a target for thieves and potential burglars because it’s reasonable to assume you’ve got expensive presents in your home. Not only that, if you’re planning to be away for Christmas, especially for a week or so, it increases the risk of burglary and potentially other issues - in freezing weather, the chance of burst pipes also increases, for example. We’ve covered this in greater detail in our Christmas security guide. Typically, your home will have presents hidden away, ready for Christmas - expensive items that you wouldn’t usually have during the rest of the year. Thieves know this, so keep presents away from public view - not visible from windows - and definitely don’t leave them in your car overnight. If you have a fire or stove in your home, the chances are you’ll use this frequently over the Christmas holidays. A roaring fire on a chilly winter’s evening at Christmas time is an enduring image - whether you choose to roast chestnuts on it or not! Lighting and maintaining a fire brings a risk, though; handle logs carefully, watch out for spitting flames and always ensure you put the fire out completely before heading up to bed. Food is at the very heart of Christmas, and it’s safe to say many households will be cooking more than usual during the holidays. Not just frequently, too, but the amount of food. If you’re hosting a gathering and cooking for a large number, it’s easy to get distracted, and easy to get timings wrong. Candles pose a major fire risk. At Christmas, while they add to the peaceful ambience and atmosphere of the yuletide season, please do make sure any candles aren’t left unattended - and, if you’re leaving the room, do extinguish them. It’s so easy for a candle to start a smaller fire which then spreads and becomes a huge problem. We love fairy lights at Christmas, and they do look welcoming, twinkling away around your house. We’ll use them to decorate the Christmas tree, other areas of the home, and even outside. You should check all sets of lights before using them - they probably won’t have been switched on for a year, of course - and replace any faulty bulbs immediately. Be careful not to overload plug sockets with lots of extra lights. Turn them off overnight as well. Picture the scene - you’ve got friends round on Christmas Eve, the drinks and nibbles are flowing, the Christmas music soundtrack is going down brilliantly, and there’s a lovely festive fizz in the air. Is that red wine all over the new carpet?! Yes, yes, it is. One of your guests has just knocked a glass of red wine everywhere, and that carpet was only fitted a month ago. Sticking with the theme of Christmas parties, a house full of guests can bring further risk. Party games can really get people in the swing of things, but it’s also easy to get carried away - either by accidentally breaking something or doing it in a fit of excitement. Pushing the flatscreen TV over during a dance-off? Kicking the PlayStation over after losing a game of FIFA? It happens, then you’re left with a hefty bill and a home insurance claim to process. Have a very merry Christmas - look after yourself and your home, and hopefully your festive season will bring nothing but peace and happiness. For more tips on home safety at Christmas, visit https://www.fireservice.co.uk/safety/christmas-safety. ** Based on a survey of new RAC Home Insurance customers between 1st July and 31st December 2018. 783 of 837 customers scored us 6 or more out of 10, therefore 94% (9 out of 10) are likely to recommend us to a friend or family member.